Al Jazira International Group for Gen. Trade & Contracting Company after successful establishment of its Civil department, it has embarked to venture Mechanical projects with the addition of experienced Mechanical team to cater Oil & Gas and Commercial sectors. 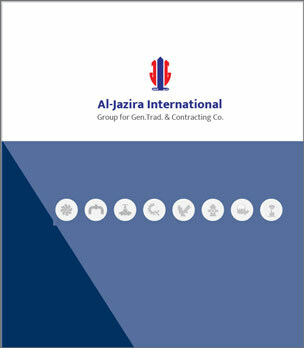 Al-Jazira International Group Company’s piping works include water lines, oil lines, sewer lines, storm sewers, etc. Our employees are experienced in variety of areas, earning us a reputation for being professional, competent and reliable company for piping works. Our services cover commercial and residential piping and pipe works throughout Kuwait – including oil and gas sector, government and private constructions. We are one of the well-known service providers of Equipment Erection Service. The offered erection services are executed by the most experienced and expert professionals of the trade. Our offered erection services are highly acclaimed by the clients, owing to the on-time execution and satisfactory service delivery. The offered erection services are available at very cost effective market price. Our approach results in a high quality product that includes well-documented test results, drawings, and reports. An experienced engineering support staff enables us to solve complex problems, evaluate design options, and offer creative, timely solutions. Al Jazira field service professionals are experienced working in the utility and industrial environment with safety being their primary priority during all activities. We continuously reviews and revises their safety program to ensure safe work conditions for personnel. Al Jazira caters to the Structural fabrications requirements of various companies and is very active in the Oil and Gas, Power and other core sector industries.Al Jazira has experience and wide exposure in structural fabrication with different materials like plain carbon steels, fine grained steels, creep resistant steels for high temperature applications, high strength steels and stainless steels. Al Jazira employs a team of highly experienced structural steel / piping engineers, fabricators and welders competent to work with materials such as Mild Steel, Alloy Steels, Stainless Steel, Aluminum and Copper. Our products are compliant with the various quality requirements of our Clients. Our contracting services for plumbing exclusively, or along with electromechanical works for new installation as well as maintenance of existing buildings ensure reliable, efficient, and cost-effective operation - resulting maximum productivity throughout your buildings life cycle. We provide on-site operations and maintenance services giving you full-time dedicated professional assistance. Our painting division is equipped with experienced team for all kinds of painting works including specialized know-how in the oil-fields. The division prepares the surface with sand blasting, chemical cleaning, vacuum blasting, power tools cleaning, etc as per the requirements before painting. Al Jazira International Group for Gen. Trade & Contracting Company offers the complete package for design, installation, monitoring system for Smoke detection & Fire alarm system. Backed by our periodic checking, maintenance and replacements we make sure that your work place is safe and sound at all times. We have been providing reliable installation and maintenance of firefighting system for some of the leading companies in Kuwait since very long time. It needs high level of technical expertise and deep understanding of the complexities involved in providing a fail-proof fire protection to a large multi-storied complex. We are employing most modern methods and equipment in the field of firefighting to meet the demanding situations.